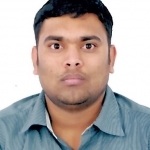 Ashwith A from Bangalore, Diploma Graduate. END USER SUPPORT AND.. DATA CENTER MANAGEME.. BACKUP EXEC SERVICE DESK MANAGEM..
are one of expert skill area's of Ashwith A .
Ashwith A is working in IT Software industry.